It was 50 years ago today, Sgt. Pepper taught the band to play. That's a factually incorrect statement but a good opening line to talk about the 50th anniversary of the Beatles' first appearance on American television. To commemorate the event, Beatlemania will be sweeping the airwaves once again all this week with special concerts, documentaries, celebrations, and dedications. For younger viewers, it will be a chance to see real-time footage of the Beatles' first appearance on The Ed Sullivan Show (they made three in successive weeks), and the chaos that ensued. For old fans like me, it will be an opportunity to relive a revolutionary moment in the history of rock music, along with the 73 million other viewers that tuned in the night of February 9, 1964. The date is significant because, after that, nothing was ever the same. The Ed Sullivan Show, which aired on Sunday nights, was a variety show that featured a potpourri of acts, including opera singers, acrobats, plate spinners, flamenco dancers, puppeteers, and pop musicians, to name a few. On February 9th, I was enjoying a Sunday dinner of hamburgers and spaghetti at Granny's before we settled in front of the TV to witness the Beatles' debut. Of course, the elders tsk-tsked, while I went crazy. I was eagerly anticipating the Beatles' television debut because I'd already bought the album. While cruising east on Walnut Grove on a clear January afternoon, something came on the car radio unlike anything I had ever heard, and I knew it must be that English band I'd been hearing about. I made an immediate left on Perkins and headed for Pop Tunes. They only had the new single in stock (which I still have in the original sleeve) but promised to call me when the LP arrived. Shortly afterward, I got the call that Meet the Beatles had arrived, and I snatched up one of the first copies. That evening, my friends and I got together to listen to first one side, and then the other, over and over again, completely captivated by this raw and exhilarating new sound. We also marvelled at their matching Prince Valiant haircuts, their tailored suits, and their Italian boots with the raised heels that immediately and forever after became known as "Beatle boots." The next day, we started to let our hair grow. I realize the potential risk, that my writing about the Beatles could morph into nothing more than an old geezer raving about his favorite band from days of yore. Lord knows, I wouldn't care about hearing someone from my parents' generation talk about the first time they saw Guy Lombardo and the Royal Canadians. 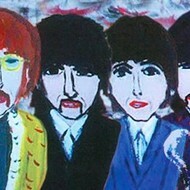 But the Beatles' music has not only endured, it has thrived. When their songs finally became available for internet download a few years back, the news was received with the enthusiasm usually reserved for the latest, hottest thing. The 2009 release of "The Beatles Rock Band" video game, where participants simulate playing Beatle songs with controllers shaped like musical instruments, was a huge success and helped boost sales of the newly remastered Beatle albums on CD. It's never surprising to hear that some of the most enthusiastic Beatle fans are the children or even the grandchildren of your friends. The band's unmatchable career and the evolving message in their music has become a generational phenomenon, and if this week's festivities are any indication, the music will continue to resonate into the foreseeable future. 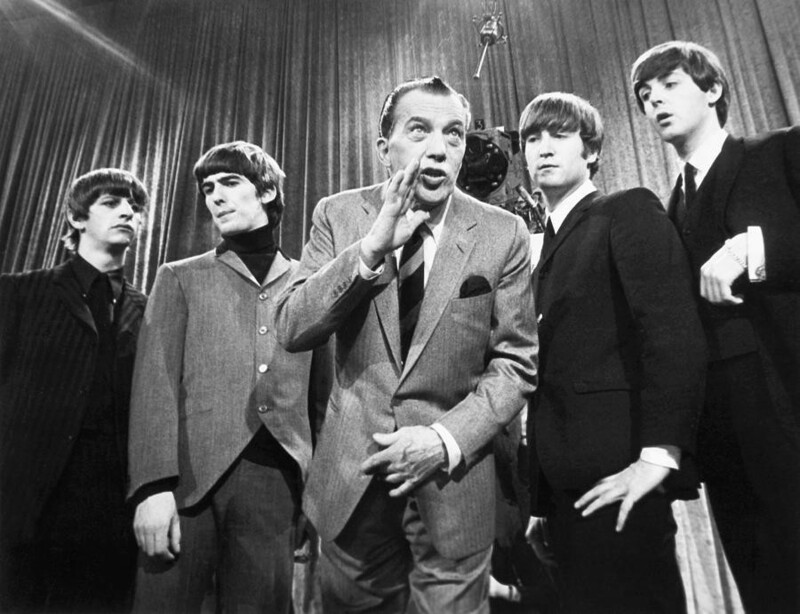 In celebration, CBS News is presenting a "live, interactive event," at the Ed Sullivan Theatre this Sunday, from 5 to 7 p.m., 50 years to the day after the Fab Four's live performance. 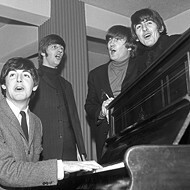 It will feature "rare footage from CBS News' extensive archive of the Beatles' first three days in New York City," and a special tribute concert, sponsored by the Grammys, will air in Ed Sullivan's former time-slot after the news special. Taped in Los Angeles the day after the Grammy Awards, featured artists include a reunited Eurythmics with Annie Lennox and Dave Stewart, John Legend, Stevie Wonder, Katy Perry, John Mayer, and a Ringo/Paul reunion. If that isn't enough to satisfy your Fab Four fix, following the Grammy special, Paul and Ringo will appear live on a special David Letterman Show, airing, of course, from the Ed Sullivan Theatre. All week, leading up to Sunday, Letterman's musical guests will play Beatles songs. On February 8th, commemorating the Beatles' iconic arrival at New York's JFK Airport, the airport will host a celebration and dedicate a historical marker. A new book about the Beatles has been released titled, The Beatles: All These Years. Vol.1- Tune In, by Mark Lewisohn, whom The New York Times called "the most serious historian to have examined the Beatles' lives and work." I guess so, because this first of three planned books runs 803 pages and only gets up to 1962. For those like me, who love the Beatles, all this activity shows that the Lads from Liverpool are going to be around for a long, long time. Strawberry Fields Forever, baby.